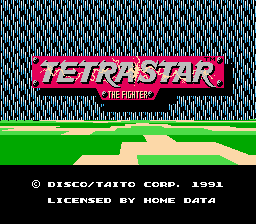 At first glance, this may just appear to be a neat little Space Harrier-type game, but actually it turns out to be a really cool neat little Space Harrier-type game. I know the screenshots are kind of confusing and don’t really show much, but it really has to be seen to be appreciated.. Some of the effects are just incredible, especially for the NES. Not much to be said about the gameplay, really.. You fly around and shoot stuff. However, the tricky part is that you also have to dodge all the stuff that might kill you. That’s the part that most people have trouble with, anyway. I don’t know, maybe it’s more complicated than that, but I never bothered to find out. I just kept hitting the B button. And that’s good enough for me, dammit. This game has a surprising amount of story for a shooter. Fortunately everything is translated, so enjoy dammit!